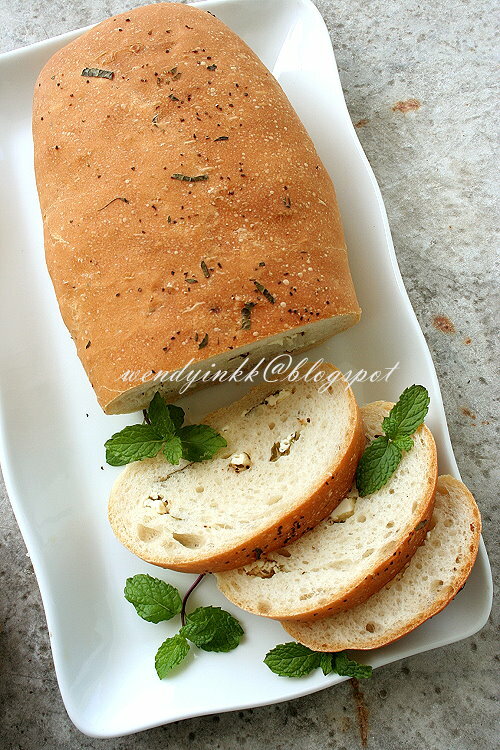 This is a savoury bread. 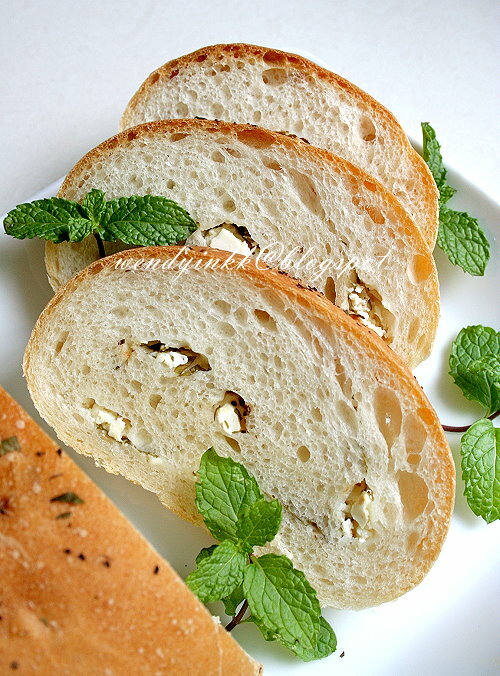 Not the type of airy cottony Asian breads, and neither is this flavourful like Artisan breads. The only sugar here is used for activating the yeast. Although I used instant yeast, it's good to go through the activating process once a while to check whether it's still viable. I keep my jar of yeast in the fridge, but still it's better to be safe than sorry. After the bread is done, I tasted it and it doesn't taste complete. And so, I knew the honeyed dates in the recipe is not there as garnish. It is part of it. But at that point, I can't make any honeyed dates because it's not the season to get any. but then again, I'm never a fan of dates. Jams, compotes will not match in my opinion. 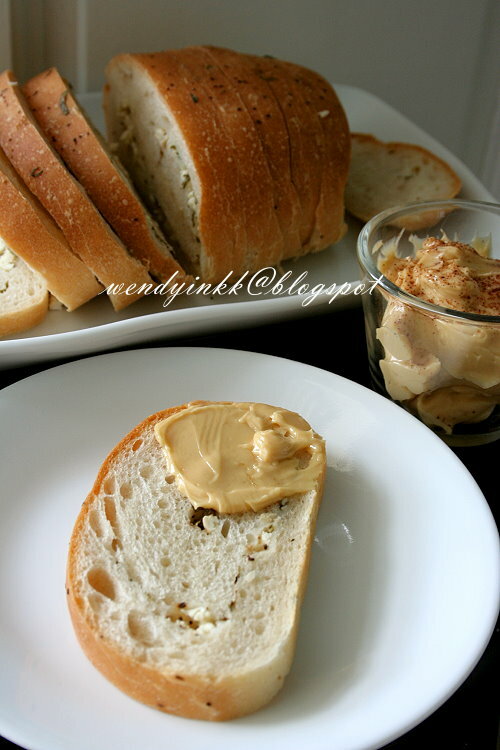 In the end, I chose to make honey butter and it complemented the bread well. 1. Dissolve yeast in sugar and water. Wait until it froths. 3. Cover and let it proof for 1 hour. 5. Roll out each piece into a rectangle. Crumble half the cheese over and half the mint and some black pepper. Roll up again and seal. 6. Leave the formed rolls proof for another 45 minutes.(covered). 7. Preheat oven at 180C. 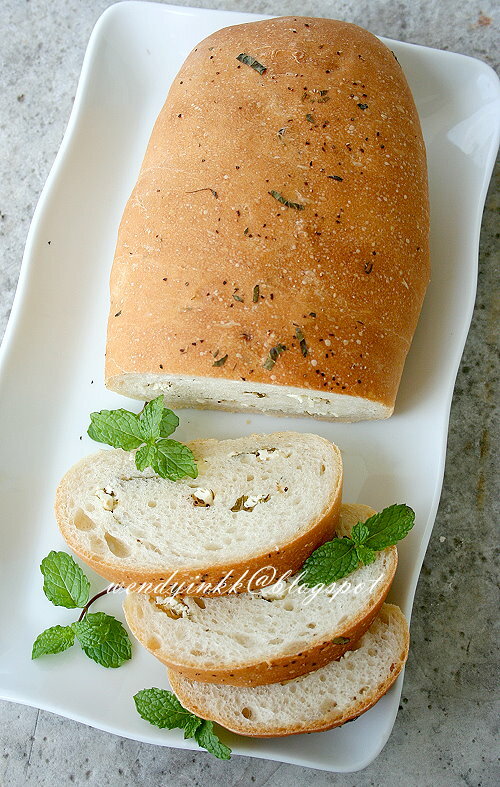 Moisten the surface of the rolls and sprinkle more mint and pepper over. 8. 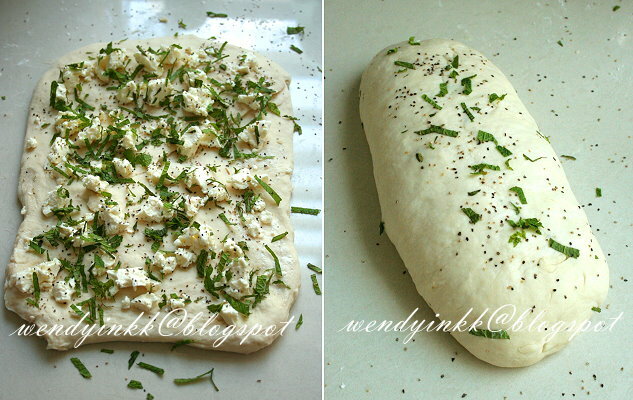 Bake for 20-30 minutes or until done. Hi. May I know where to purchase Feta Cheese in Malaysia? Most feta in Malaysia is cow's feta, like Apetina. Can be found at major supermarkets.